In the underrated clone comedy Multiplicity, Michael Keaton asks at one point, “You know how when you make a copy of a copy, it’s not quite as sharp as, well, the original?” Such an observation pinpoints a large problem with Antoine Fuqua’s The Magnificent Seven, a remake of the popular 1960 Western that was itself an American-ized version of Akira Kurosawa’s seminal Seven Samurai. In 1879, the mining town of Rose Creek is terrorized by the malevolent Bartholomew Bogue (Peter Sarsgaard), who kills anyone daring to stand up to him. Two of the scared townspeople ride into the nearest neighbouring town to hire armed help, with every valuable the town has to offer as payment. 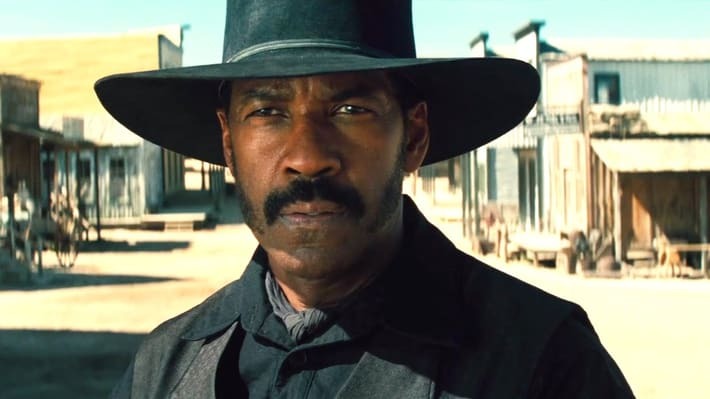 Bounty hunter Sam Chisolm (Denzel Washington, reteaming with Fuqua after 2014’s The Equalizer) agrees to assist, and rallies gambler Josh Faraday (Chris Pratt), sharpshooter Goodnight Robicheaux (Ethan Hawke), outlaw Vasquez (Manuel Garcia-Rulfo), assassin Billy Rocks (Byung-hun Lee), warrior Red Harvest (Martin Sensmeier), and tracker Jack Horne (Vincent D’Onofrio) to the cause. The method of assembling of a ragtag team before they head off on their mission, from Ocean’s Eleven to The Avengers to D2: The Mighty Ducks, was practically invented in Kurosawa’s classic, which was then smartly re-envisioned in John Sturges’ The Magnificent Seven. So why does it feel like such a cliché this time? Part of what made the original Magnificent Seven more than just a clever remake was the casting, which boasted a prescient mix of established stars like Yul Brynner and Steve McQueen with the before-they-were-famous faces of Charles Bronson and James Coburn. Fuqua’s version only half-commits, utilizing Pratt, Washington, and Hawke to strong effect, but oddly wasting D’Onofrio. And while time could prove whether Lee, Garcia-Rulfo, or Sensmeier become big stars — Lee, admittedly, is on his way — their work here hints at no such replay value for the film. That’s not all that’s missing this time, though. Where’s the charisma? Where’s the fun? (For that matter, where’s the legendary score?) If there were two things Sturges’ Westernization did even better than Seven Samurai it was brandishing a winning charm and fostering a rollicking sense of fun. 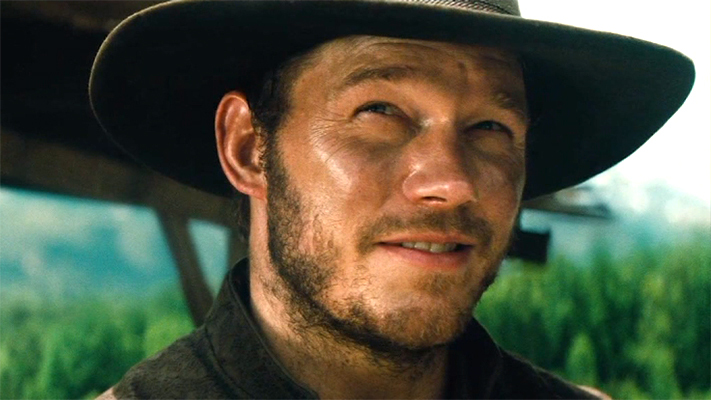 2016’s Magnificent Seven is so steeped in regret, obligation, resentment, and death, even Pratt’s goofiest McQueen impression can’t lift the dreary tone of the picture. Seven Samurai played in the same sandbox, but Fuqua is no Kurosawa and doesn’t commit enough to the seriousness, inserting jokes at inopportune times that don’t just fall flat but puncture any building gravitas. The other movie that seems an obvious inspiration to The Magnificent Seven, if not the very reason for this version’s existence, is Quentin Tarantino’s The Hateful Eight, which dusted off and reinvented the Western genre for a new generation the same way a director does every decade or so. The large difference between Tarantino’s and Fuqua’s films is Tarantino’s creative method of approaching unoriginal material. 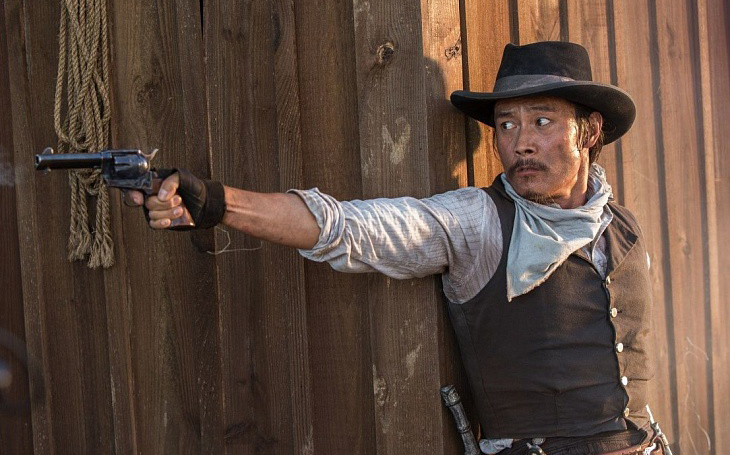 Fuqua’s Magnificent Seven says nothing that wasn’t said in either earlier version of the story — other than a twist late in the story, which pointlessly betrays a character’s altruism in a way that hurts the movie anyway. Most disappointingly, looks no better or different than the dozens of forgettable Westerns that recently came before it. 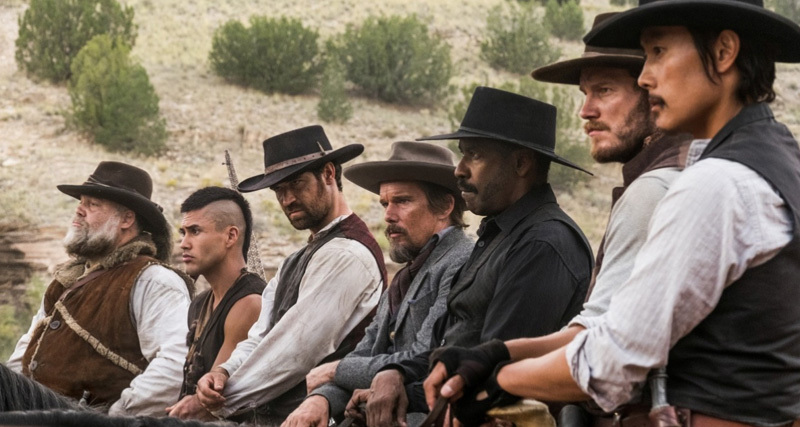 Were it not for the famous title it rides in on, The Magnificent Seven would surely soon join the DVD dump-bin company of 3:10 to Yuma, Appaloosa, and The Lone Ranger. 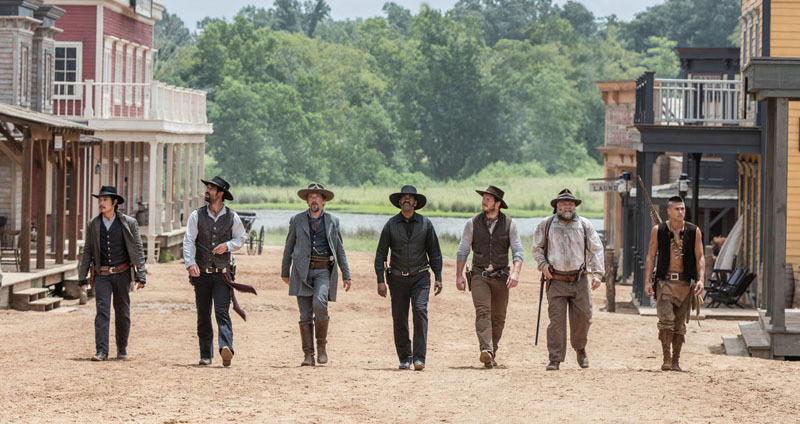 By virtue of the talents of the actors on screen, The Magnificent Seven can’t help but work well sometimes, even when the writing and directing seem to almost be trying to keep it from doing so. It’s never truly a bad movie. But it’s far from magnificent.